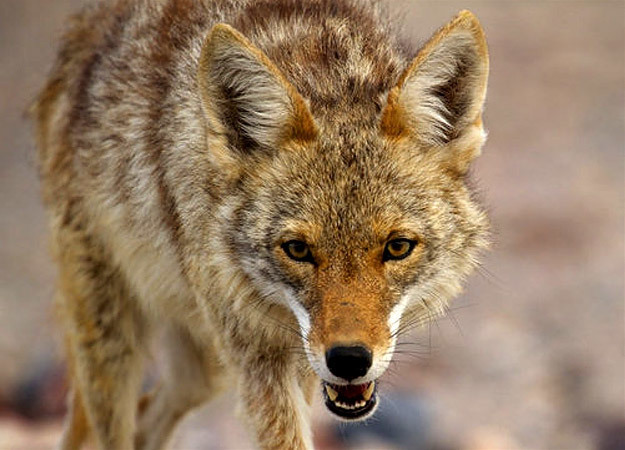 Coyotes are clever, highly adaptable, and are among one of the greatest survivors of all time. These animals are versatile, and can survive the sizzling heat of Death Valley (average daily temperature reaching up to 115?F) as well as forests, mountains and prairies. Coyotes have a reputation for being a bit on the aggressive side, especially when hunting for food, and are extremely resourceful when trying to stay fed. One unique way that they've adapted to the Death Valley is feasting on the caterpillars of the hawkmoth and beetles.